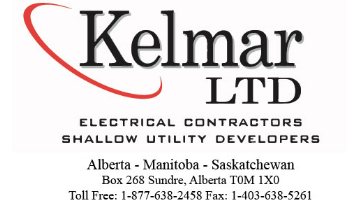 Accountant or Full Cycle Bookkeeper | Kelmar Ltd.
Have accounting designation or extensive, full cycle bookkeeping experience. Enjoy the challenges of problem solving and stream lining processes. Be a strong team leader who is not afraid to stand out while leading. Be able to recognize and give credit to others. Possess a good understanding of their own strengths and weaknesses in order to better manage and have a good understanding of the types of personalities and how to manage those personalities. Be confident and proficient while working independently, as a leader, or as part of a team knowing this includes being able to take and give directions. Possess the ability to see where processes need to improve and create the processes required with the team doing the daily work of that task. Be detail oriented and organized. Possess the ability to positively communicate and hear using verbal and all facets of our communication era. Must have built good work references during their career that reflect the professional requirements listed. Manage the accuracy and productivity of day-to-day activities of accounts payable, billing and accounts receivable, cash disbursements, customer collections, payroll, fixed asset records, purchase orders, general corporate accounting, human resources and operations of the accounting department. Create and maintain working papers using multiple business applications. Manage the accounting records of 3 additional related companies and 1 family trust. Maintain compliance with government and regulatory agencies including tax. Prepare and issue timely monthly, quarterly and year end financials. Reconcile bank, credit card and ledger accounts. Oversee job costing, and ensure the collection of holdbacks on completed projects. Complete annual budgets and periodic forecasts. Maintain fixed asset continuity schedules. Oversee and improve upon business and accounting policies and procedures. Present company owners with monthly and quarterly financial results, and analyze, interpret and communicate revenue and expense variances to owners to support operational decision making. Ensure an open flow of information to the ownership team. Ensure internal controls are in place to protect company assets, develop internal controls as required. Monitor the achievement of key performance indicators. Identify areas for cost reduction and efficiency. Assist operations with ensuring appropriate insurance coverage is in place. Maintain and monitor effectiveness of accounting system. Maintain positive commercial banking and bonding relationships and provide financial reports as required to external stakeholders. Review and manage financing of fixed assets. Review contracts and bid documents. Manage the email communications of the accounting and finance departments. Be available for immediate questions or direction that may be required by the department, operation or owners. Assist external accounting firm with year-end review and various topics throughout the year. Ability to research various business topics, read, analyze and interpret business publications. Maintain and protect confidentiality in all circumstance. Manage the overall direction, coordination and evaluation of the accounting/finance department including payroll. Provide strong leadership and mentoring to accounting staff. Planning, assigning, directing and correcting work. Addressing complaints and solving problems. Applicant must be looking for permanent, long term work and live within a reasonable driving distance of Sundre, AB. (Within a one hours drive). We thank all applicants for your consideration of this position, unfortunately we will only be able to respond to the application that we feel are best suited to the position.